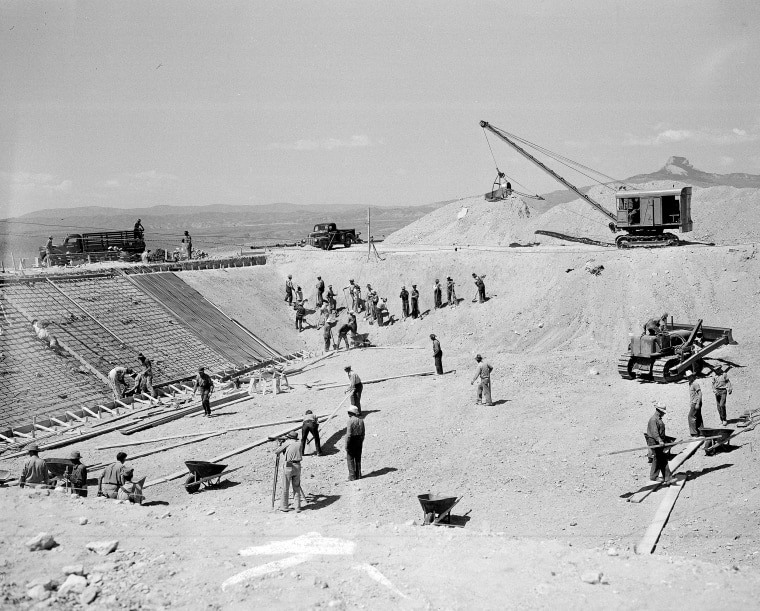 The JACS grant has provided more than $21 million for the research and preservation of World War II-era confinement sites of Japanese Americans. A federal grant program aimed at preserving the history of World War II-era Japanese-American incarceration could be in danger under President Donald Trump’s proposed 2019 budget. The budget proposal, unveiled last month, declines to request funding for the Japanese American Confinement Sites (JACS) grant program, which has provided more than $21 million of funding for the research and preservation of World War II-era incarceration camps, collection centers, and Department of Justice prisons over nearly a decade. In 2006, Congress authorized up to $38 million for the life of the grant program and began appropriations in 2009, with funding levels at about $2 million per year. David Inoue — executive director of the nonprofit Japanese American Citizens League (JACL), a civil rights organization formed in 1929 by multiple Japanese-American groups — said that if approved by Congress, the loss of funding would be coming at a critical time. The JACL is encouraging people to contact their representatives about the issue before Friday, the deadline for members of Congress to submit their requests for funding. Democratic Rep. Doris Matsui of California, who was born in the Poston incarceration camp in Arizona, is also writing a letter in support of the program to the House Appropriations Committee, and is asking other Congress members to sign on, her office said. The White House Office of Management and Budget did not reply to a request for comment. "The proposed budget makes a historic investment in our National Parks infrastructure backlog," Heather Swift, Department of the Interior press secretary, said. "The budget prioritizes funding for core operations in the National Park System and addressing the $11.6 deferred maintenance backlog in parks across the nation through the Public Lands Infrastructure Fund. The budget request identifies savings in other programs, including some competitive grant programs." Bruce Embrey — co-chair of the Manzanar Committee, which has organized the annual pilgrimage to Manzanar for the past four decades— said that the grant isn’t a partisan issue — it’s one that both Democrats and Republicans have supported in the past. The JACS grant program, signed into law by former President George W. Bush, has funded a variety of books, films, oral histories, traveling exhibits, museums, as well as digitizing archival materials and preservation projects at internment sites. Last year, the Japanese American National Museum in Los Angeles received a grant to digitize 45 home movies made by Japanese-American families from the 1920s through the 1950s. In 2011, the Seattle-based nonprofit Densho was awarded funds to develop a curriculum to train hundreds of teachers about incarceration. And in 2009, the Manzanar Committee received a grant to create a full-length documentary about a group of internees who crawled under barbed wire fences to fish in nearby lakes. Dakota Russell, museum manager at the Heart Mountain Interpretive Center — which has received funding from the JACS grant — credits the program for boosting public awareness about incarceration. Samuel Mihara, who spent three years behind barbed wire at Heart Mountain starting in 1942 when he was just 9 years old, agreed. "It's the physical presence of Heart Mountain that reminds people that this is for real — it really happened, right here," said Mihara, now a board member of the Heart Mountain Wyoming Foundation. "You need to have a facility where people can go and see, touch and feel — and therefore remember." “If anything they should be helping us to tell this story,” he said. But it’s not just the Japanese-American community that will suffer, Shimizu, who is president of the Tule Lake Committee, noted.